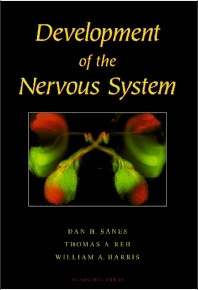 Development of the Nervous System presents a broad outline of neural development principles as exemplified by key experiments and observations from past and recent times. The text is organized along a development pathway from the induction of the neural primordium to the emergence of behavior. It covers all the major topics including the patterning and growth of the nervous system, neuronal determination, axonal navigation and targeting, synapse formation and plasticity, and neuronal survival and death. This new text reflects the complete modernization of the field achieved through the use of model organisms and the intensive application of molecular and genetic approaches. Original, artist-rendered drawings combined with clear, concise writing make Development of the Nervous System well suited to anyone approaching this complex field for the first time. Neuroscience researchers, students, and educators at graduate and medical schools. Induction Development and Evolution of Neurons. Neural Tissue Is Derived from Ectoderm. Interactions with Neighboring Tissues Are Required for the Ectoderm to Make Neural Tissue in Many Animals. Interactions among the Ectodermal Cells Control the Process of Neuroblast Segregation. Polarity and Regionalization Regional Identity of the Nervous System. The Anterior-Posterior Axis and Hox Genes. Signaling Molecules that Pattern the Anterior-Posterior Axis in Vertebrates. Organizing Centers in the Developing Brain. Forebrain Development, Prosomeres and Pax Genes. Dorsal-Ventral Polarity in the Neural Tube. Molecular Basis of Dorsal-Ventral Polarity. Dorsal Neural Tube and Neural Crest. Birth and Migration Cell Cycle Genes Control the Number of Neurons Generated during Development. Cell Interactions Control the Number of Neurons and Glia Generated. Cerebral Cortex Histogenesis. The Subventricular Zone: A Secondary Zone of Neurogenesis. Determination and Differentiation Transcriptional Control of Invariant Lineages. Multiple Interactions in a Lineage-Based System with Asymmetric Cell Division. The Dominance of Cellular Interactions in the Determination of Drosphila Retinal Cells. Vertebrate Retinogenesis Has a Similar Developmental Strategy. Fate Decisions in the Vertebrate Neural Crest. Neuronal Fate in the Vertebrate Spinal Cord. Laminar Fate in the Cerebral Cortex. Positional Cues Determine Axonal Projection Patterns. Regulation of Phenotype by the Target. Axon Growth and Guidance Axonal Navigation. The Growing Zone. The Dynamic Cytoskeleton. Extracellular Matrix and Axon Outgrowth. Labeled Pathways and Global Guidance. Gradients of Diffusible Tropic Factors. Repulsive Factors . Axon Regeneration. Target Selection Cellular Target Recognition. Targeting to the Correct Layer. Topographic Mapping. Somatotopy: Maps in the Brain and Their Modification. Visual Maps and the Theory of Chemospecificity. Shifting Connections, Fine Tuning, and Registration. Survival and Growth What Does Neuron Death Look Like? Survival Depends on the Synaptic Target. NGF: A Target-Derived Survival Factor. NGF Is a Member of the Neurotrophin Family. There Is a Family of Neurotrophin Receptors. The Expanding World of Survival Factors. Endocrine Control of Cell Survival. Cell Death Requires Protein Synthesis. Caspases: Agents of Death . Regulating Death Proteins. Synaptic Transmission at the Target. Afferent Regulation of Cell Survival. Synapse Formation and Electric Function Synaptogenesis. What Does Synapse Formation Look Like? Where Do Synaptic Specializations Form? Initial Signs of Synaptogenesis in Vitro. Role of Calcium during Presynaptic Differentiation. Second Messengers Mediate Presynaptic Differentiation. Molecular Signals and Presynaptic Differentiation. Receptor Clustering Signifies Postsynaptic Differentiation at NMJ. Presynaptic Terminals Induce Receptor Aggregation. Agrin, a Transynaptic Clustering Signal. Receptor Clustering Mechanisms in the CNS. Regulation of Receptor Expression and Synthesis. Neuronal Activity Limits Receptor Expression. ARIA, a Transynaptic Regulator of Transcription. Rapid Modulation of Release and Receptor Function. Maturation of Transmission and Receptor Isoform Transitions. Is Inhibition Really Inhibitory during Development? Resting Potential and Membrane Properties. Significance of Calcium Channel Expression . Regulation of Ionic Channel Expression. Refinement of Synaptic Connections Rearranging Synaptic Connections. Axonal Arbors Are Refined or Eliminated. Some Terminals Expand or Remain Stable. Neural Activity Regulates Synaptic Connections. Sensory Coding Properties Reflect Synapse Rearrangement. Activity Contributes to the Alignment of Sensory Maps. Spontaneous Activity and Afferent Segregation. Some Forms of Plasticity Have a Time Limit. Cellular Events during Synapse Elimination. Synapses Interact Over a Short Distance. NMDA Receptors and Calcium Signaling. The Role of Second Messenger Systems. Metabotropic Receptors: The Plot Broadens. Plasticity of Inhibitory Connections . Synaptic Influence on Neuron Morphology. Environmental Determinants of Behavioral Development. Motor Behavior: The First Movements. Are the First Behaviors Spontaneous or Reflexive? The Mechanism of Spontaneous Movements . Embryonic Movements: Uncoordinated or Integrated? The Role of Activity in the Emergence of Coordinated Behavior. Beginning to Make Sense of the World. Hormonal Control of Brain Gender. Genetic Control of Brain Gender. Getting Information from One Brain to Another. Dr. Sanes is Professor in the Center for Neural Science and Department of Biology at New York University. Named a Fellow of the American Association for the Advancement of Science (AAAS) in 2010 for his research in auditory central nervous system development, his research has been supported by the National Institute on Deafness and Other Communication Disorders and the National Science Foundation. His lab studies synaptic plasticity and central auditory processing, and the phenomenon of hearing loss during development. Dr. Reh is Professor of Biological Structure and Director of the Neurobiology and Behavior Program at the University of Washington. He is currently a member of the Scientific Advisory Board of the Foundation Fighting Blindness, and of a start-up biotechnology company, Acucela. He has received several awards for his work, including the AHFMR and Sloan Scholar awards and has published over 100 journal articles, reviews and books. Funded by numerous N.I.H. and private foundation grants, his lab is focused on the development and repair of the retina, with an overall goal of understanding the cellular and molecular biology of regeneration in the eye. Dr. Harris is co-chair of Cambridge Neuroscience and Director of Studies in Neuroscience. He is also Head of the Department of Physiology, Development, and Neuroscience, and is Professor of Anatomy. Elected a Fellow of the Royal Society of London in 2007, he was Professor of Biology at UCSD prior to accepting a position at Cambridge. His lab is working to elucidate the cellular and molecular events that are used to push or induce cells to transition from proliferating stem cells to differentiated neurons and glia, and how particular regions of the nervous system produce the right number of neurons and the right proportions of different neuron subtypes.